Alan Drennan (21) was found dead in his hotel room in Ibiza on July 19. Further tributes have been paid to Newtownabbey man Alan Drennan, who died while on holiday in Ibiza on Sunday, July 19. On Monday evening, councillors at Antrim Civic Centre were led by the Mayor’s chaplain in a period of reflection in his memory before the commencement of the July meeting. The circumstances surrounding Mr Drennan’s death still remain unclear. The 21-year-old apprentice mechanic was found dead in his hotel room less than 24 hours after arriving in Ibiza. His friends claim that he was assaulted by Spanish police after being detained at the airport. 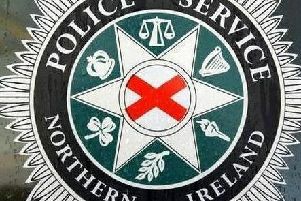 An investigation involving the PSNI and Spanish authorities is under way. An autopsy carried out in Spain concluded that he had died as a result of multiple organ failure. Mr Drennan’s body was flown to Ireland on Tuesday. His father, Alan snr, had to travel to Connolly Hospital to formally identify his son. At the request of his grief-stricken parents, a second autopsy is due to be conducted in Dublin. The results of the autopsy are unlikely to be known for a number of weeks.